Blood Moon–New Photography by Pat Kofahl - Together, We Make Memories! "Best framers in the city, I’ve used and been their client for 25+ years. No job too small or large. ‘Can’t do’ is NOT in their vocabulary. It’s an absolute pleasure doing business with them." "Esprit Decor delivers perfectly professional service. We have been using them for years for various framing needs and the end product always look wonderful. Most recently they produced a “shadow box” for us with a picture of a grand opening event, some ribbon from the event, along with a pair of scissors and a silver plate with the event details. I appreciate being able to bring in a vague idea and letting them create works of art." "Unbelievable service! The work was incredibly fast but remained impressively thorough. They listened to my concerns and understood my goals with the projects I brought them, providing much needed advice and suggestions. Pat, Robert and the rest of your crew, I can’t thank you enough for your beautiful work and amazing service for our fundraiser last week. I will definitely be back!" "I have been getting art framed at Esprit Decor for years. Pat and his staff are extremely helpful, visual people who provide excellent suggestions. Our entire office was decorated with Pat’s photographic images and it looks amazing! You cannot go wrong with Esprit Decor." 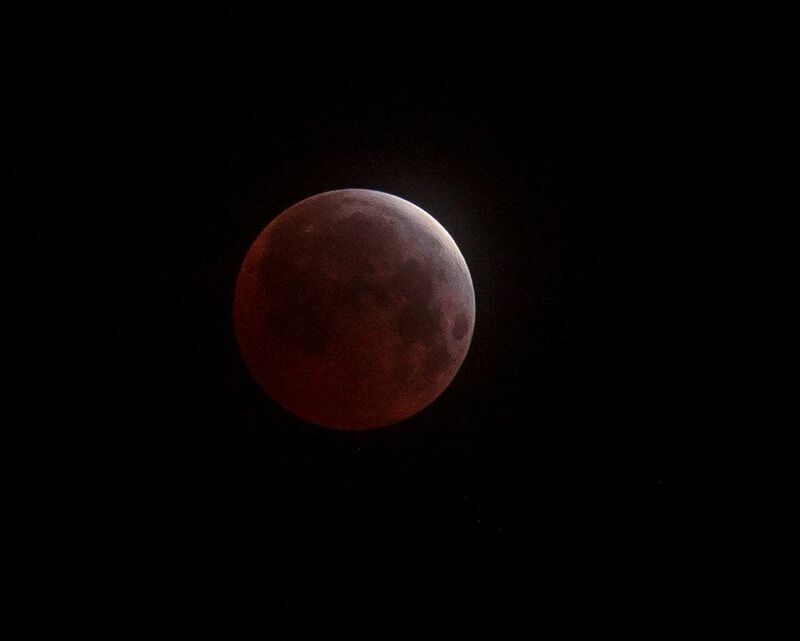 The total lunar eclipse seen from Granada Park in Phoenix, Arizona, at 4:37 a.m. this morning at. This eclipse is the third in a series of four total eclipses, commonly referred to as a “tetrad”. This fine art image by Pat Kofahl is available in multiple sizes on paper, canvas, metal and plexiglass. Prices start at $49.00!